You are here: Home > MCSD News & Alerts > MCSD News & Alerts > CMS News > Lip Sync Battle to Support YMCA Youth and Teen Center! 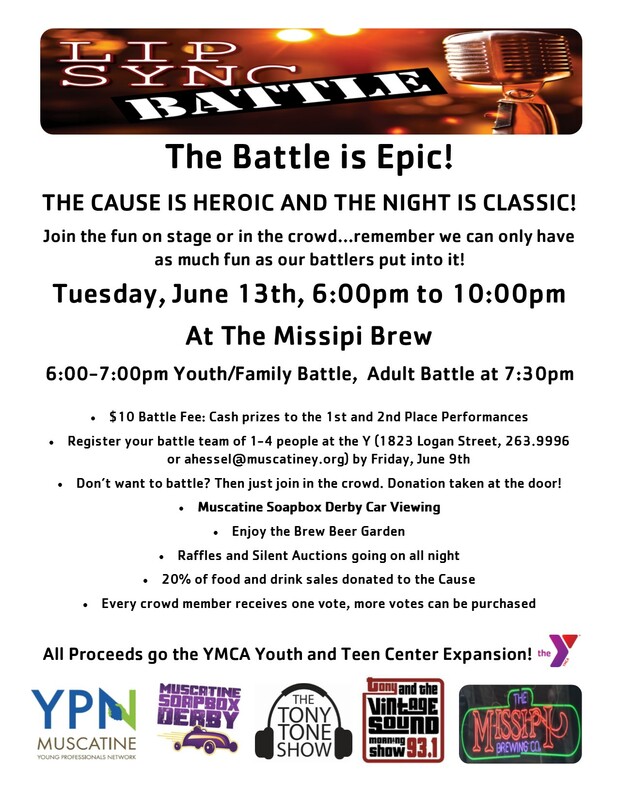 Come out and support the YMCA Youth and Teen Center expansion on Tuesday, June 13th from 6 p.m. to 10 p.m. at the Missippi Brew! Participate in the Lip Sync Battle (youth, families and adults!) or just show up and check out the participants, raffles, silent auction, and get a sneak peak at some of the Muscatine Soap Box Derby cars!